This has to be my favorite layout! I LOVE how this came out! Font is "accent cookie dough". I inserted the cookie monster clipart into the word cookie, and painted him using Microsoft Paint. I took the letter "O" from the accent cookie dough font and enlarged it. I then created a cutout and inserted the pictures into each one. 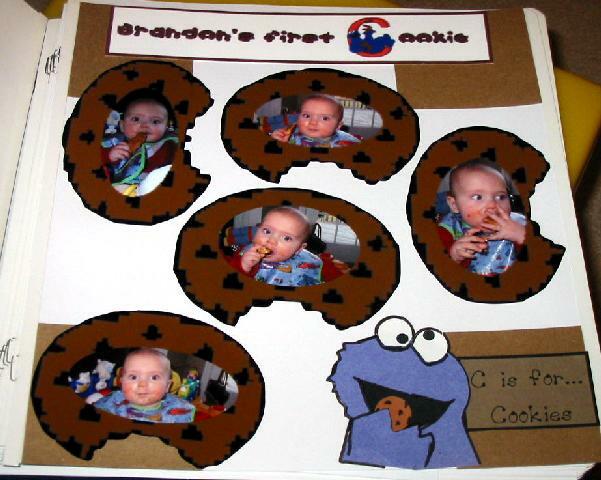 I created the cookie monster using construction paper and various circle punches. Thanks for looking!